Wandenkolk Manoel De Oliveira, best known as Mestre Preguiça, is the godfather of Simplesmente Capoeira Association. He was born in Sítio do Mato, Bahia-Brazil in 1947. He had a hard childhood, left alone living on the streets. 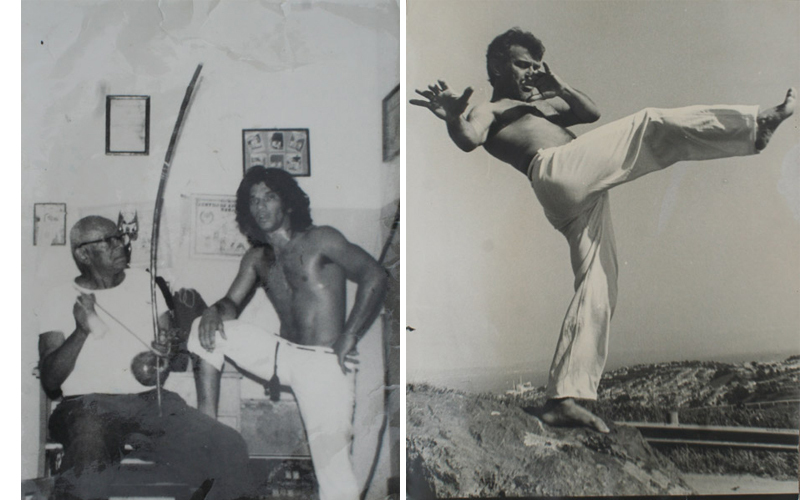 His first contact with Capoeira was when he met Gilson Capoeira in 1959 and he brought him to Mestre Bimba Academy. The legendary and strict Mestre Bimba taught him rules of respect and discipline that Preguiça kept and were his values for the rest of his life. He has been a pioneer of contemporary Capoeira for more than 50 years. He was one of the co-founders of Grupo Senzala, created in 1965 in Rio de Janeiro. Grupo Senzala was one of the most famous and influential groups, some of their Mestres created other groups that are across the world. Mestre Preguiça moved to San Francisco in 1984 and founded his current Omulu Capoeira Group that he leads until today. 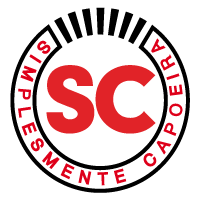 Contramestre Bala is the founder of Simplesmente Capoeira. He started his path in Sports and Martial Arts at an early age and when he was 12 years old he became passionate about Capoeira. His years training in this art were spent between Brazil and Spain. He has also been around America, Europe and Asia while teaching workshops and performing in exhibitions. Part of his shows career included road & cruise ship tours with Capoeira & Brazilian Art Culture Companies. He has achieved first positions in Capoeira competitions called ‘Jogos’ in different groups in Brazil & Europe. In those tournaments, practitioners compete in Capoeira in diverse categories and styles and are examined by very reputable Masters who analyse various aspects of the Capoeira games / jogos. He has always been close to social projects. Bala has taught Capoeira in ‘Proyecto Hombre’ (Spanish Public Drug Rehab programme), prisons, open free classes in slums and promoted good causes like Blood drives. After more than 20 years of experience, he felt the need to contribute to the Capoeira world with his own vision and methodology. He founded our International Project Simplesmente Capoeira in 2015. The name of the group came from a previous event held by Bala and a song written by him. He is based in Kiofu Gym in Madrid where teaches MMA and Capoeira to children, teenagers and adults. Bala coordinates our groups in Barcelona, La Habana and Auckland. Cabeça started Capoeira when he was a pre-teen in Girona-Spain. In those years internet wasn’t as accessible as now and since he was really young he tried to increase his knowledge by travelling, visiting other Capoeira groups, researching by books & VHS, … His curiosity and his attitude to practising Capoeira in a professional way brought him to different countries and to meet well recognized Masters around the world. He tries to visit Brazil as often as he can to connect with the place where Capoeira was born. The first time was in 2007 visiting Salvador and he was so lucky to meet and train with some of Mestres like João Pequeno, Bola Sete, Lua Rasta, Aranha, Nenel, Boinha, Jair Moura, Alabama, Bamba, Sabiá, Poloca, Janja… and he had the chance to meet an important historian of Capoeira, Frede Abreu, who was a good guide for Cabeça’s research. Cabeça had started travelling around european countries like Switzerland or France younger with his Capoeira family and later on to Asia and America combining travel and work with Capoeira as much as he could. He has been involved in Human Rights, NGO and World Heritage organizations volunteering in diverse environments, from the peruvian archeological semi-desert site ‘Chan Chan’ with UNESCO to the hot Hong Kong rice farms withVolTra義遊 . Those experiences gave him new knowledge and interesting perspectives influencing how Capoeira could be used as a Social tool. He has supported a Social Capoeira Project for kids and teens in Campo Grande, Rio de Janeiro and currently our Simplesmente Capoeira group in La Habana, Cuba leaded by Monitor Nego and coordinated by Contramestre Bala. Cabeça keeps his Capoeira wherever he goes. He moved to New Zealand in 2014 and has been teaching classes to children, teens and adults in Auckland. 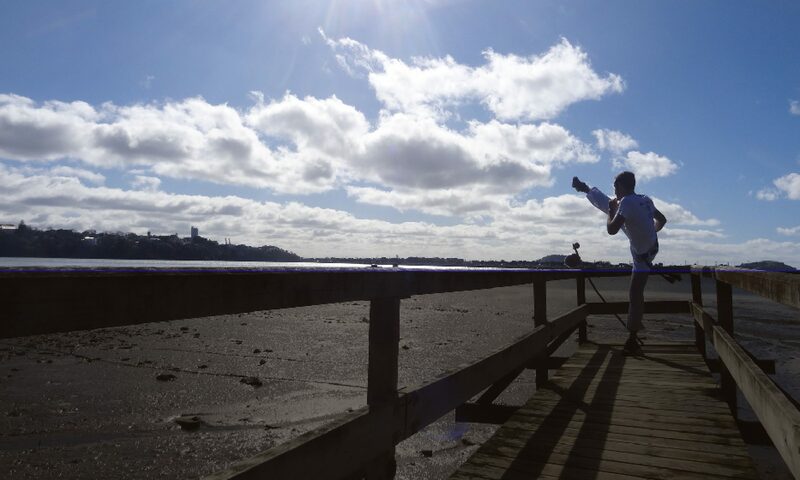 He also tries to provide the opportunity to people who had never had the chance to try Capoeira like his Free Open Workshops in East Auckland or overseas in Nuku’alofa, Kingdom of Tonga, in coordination with the NGO ON THE SPOT Arts Initiative.